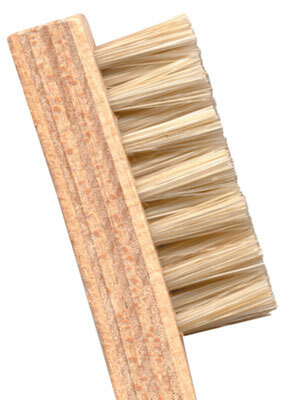 A 3-row toothbrush-style general cleaning scratch brush. Made of natural stiff hog hair bristles and long plywood handle. Makes a great soldering tool that can be used for a wide variety of cleaning applications. It is excellent for removing flux and general clean up. Can be used dry or wet. Works well with sticky or crusty materials.